Byron Buxton is en fuego this spring. For the third time, Buxton homered on Friday. Here’s a gif, and it looks like a guy who is trusting his hands right now. So far, Buxton has three home runs, 11 RBI and most importantly; no strikeouts. Moreover, Buxton says he fixed his own swing. Certainly – that’s probably the most exciting part of this whole thing. Finally it’s not a coaching staff tinkering with a once-heralded player to make him someone else. In this case, it’s a guy just playing ball with nothing to lose and being who he’s possibly meant to be. Surely, it’s only spring training. But Buxton looks like he could write a nice chapter here in 2019. 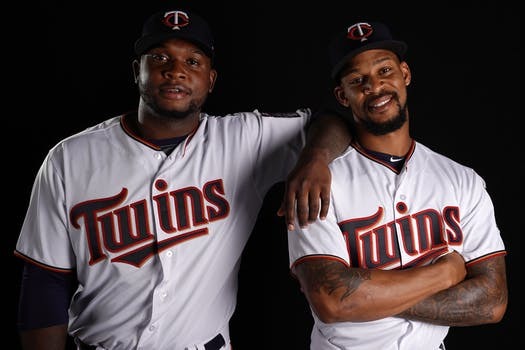 ← Previous Story Is Byron Buxton Heading Back To The Big Leagues?